Find below the best city hotels list in Poggio-Mezzana (France). Its provide by Booking.com the most popular Hotel booking sites with over 130 000 affiliate best hotel in the world. Located in Poggio Mezzana, on the Costa Verde, Residence Acqua Linda offers a warm and friendly welcome close to a sandy beach and 40 kilometres from Bastia. 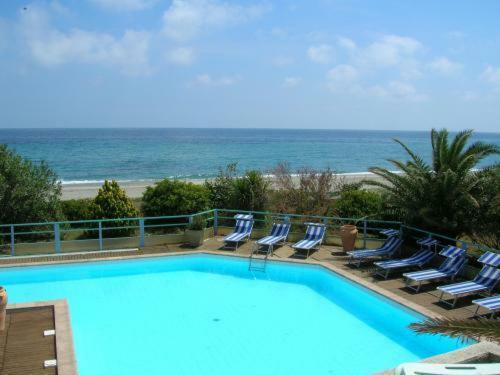 This holiday village is located on the beachfront in the Corsican town of Poggio Mezzana. It offers an outdoor pool and furnished apartments with terraces and equipped kitchenettes. The Levolle Marine is located in the heart of the Costa Verde region at the foot of the Castagniccia, 3 kilometres from the charming and lively Moriani Plage seaside resort. It features a jacuzzi, sauna and massage treatments.